At a rural hospital in Texas last year, a woman’s life was saved when doctors, using a handheld ultrasound device, determined that her abdominal pain was due to a ruptured ectopic pregnancy and were able to act quickly to address it. 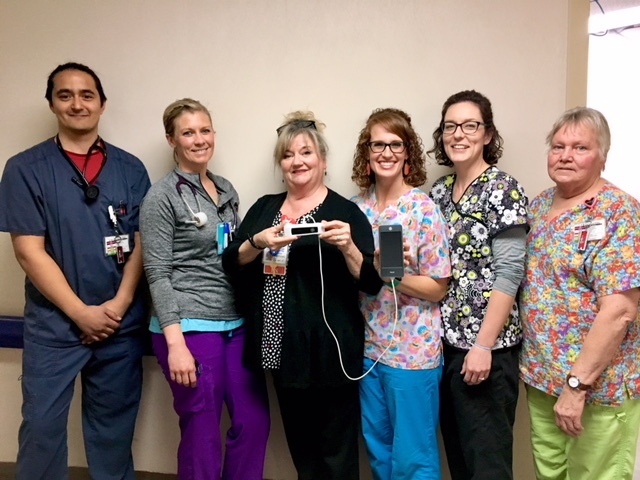 The hospital had the handheld unit on-loan as part of an innovative pilot project run jointly by the Texas State Office of Rural Health (TX SORH) and the Texas Tech University Health Sciences Center (TTUHSC). The devices, as well as accompanying training, were offered to Small Hospital Improvement Project (SHIP) hospitals in the state. 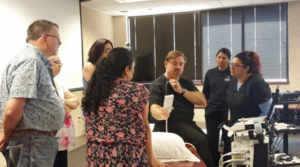 A Texas hospital participates in a training session. 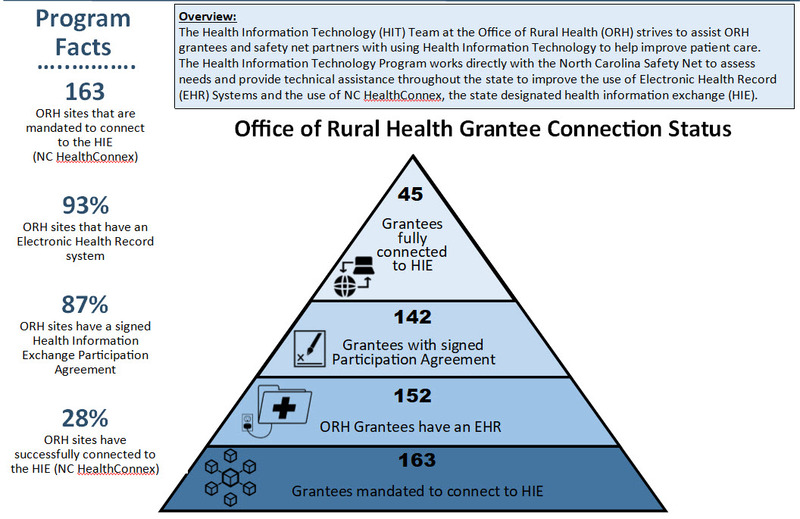 TX SORH contracted with TTUHSC on the two-year project to help provide training on the devices. “Our state is big so we divided it into four regions,” Wyatt explained. “Texas Tech and I went to those four regions along with a sonographer from GE who did basic training on using the handheld unit.” Providers who could not attend in person were invited to participate in webinar training on the device, she said. 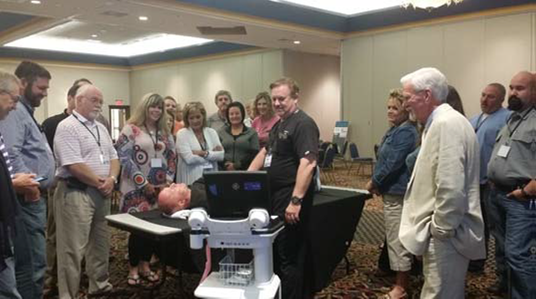 With TX SORH funding, eight Vscan Extend devices were purchased by Texas Tech to deploy to the hospitals that had been trained, for a one-month trial period each. A total of 67 hospitals signed up. Hospital staff participate in a training session. The project was completed in July 2018, and TX SORH recently received the project completion report. The report reveals that more than 90% of the hospitals found the unit to be extremely helpful, and that the device was used mostly for abdominal scans and OB concerns. In addition, users found that the device was helpful for easier IV placement, for quickly scanning a patient for vascular effusion, and for checking an accident victim for fluid in the abdomen, helping avoid more costly, time-consuming imaging studies. TX SORH negotiated with a vendor and obtained bulk discounted pricing for those hospitals that wanted to purchase the devices after the trial period. “This gave them the ability to purchase handheld ultrasounds at a price they could afford,” Wyatt said. 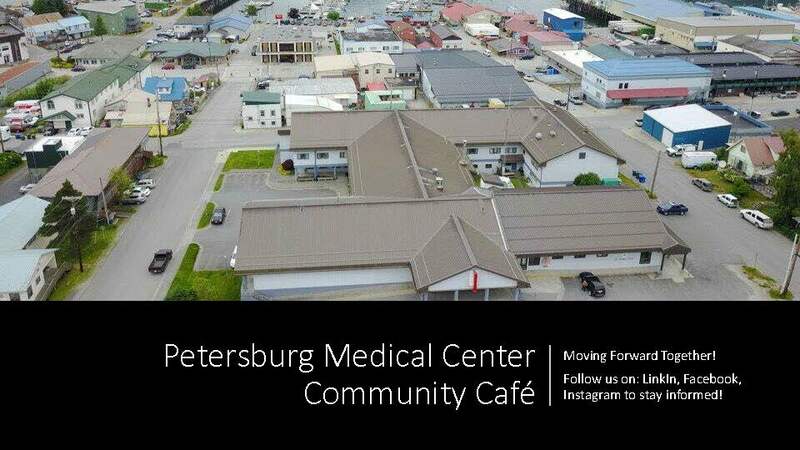 As a result, several hospitals bought the units, with others planning to purchase the device with future SHIP funding. This is not just a one-time project, Wyatt added. The units purchased for the initial training project will be used in future training initiatives as well, she said. 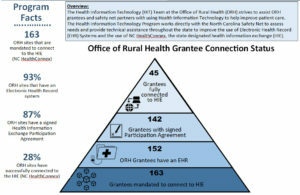 In the quest for hospital quality improvement, the Michigan Center for Rural Health (MCRH) is playing a unique role, serving as a liaison between independent Critical Access Hospitals (CAHs) in the state and the state’s hospital association. In September 2016, MHA’s Keystone Center was awarded a (HIIN) contract by the Centers for Medicare and Medicaid Services (CMS). The goals of HIIN are focused on reducing the rates of readmissions and hospital-acquired conditions (HACs) such as pressure ulcers, sepsis, and surgical site infections. Under the contract, the Keystone Center partnered with the Illinois and Wisconsin hospital associations to form the , with the aim of reducing HACs by 20 percent and readmissions by 12 percent from a 2014 baseline. 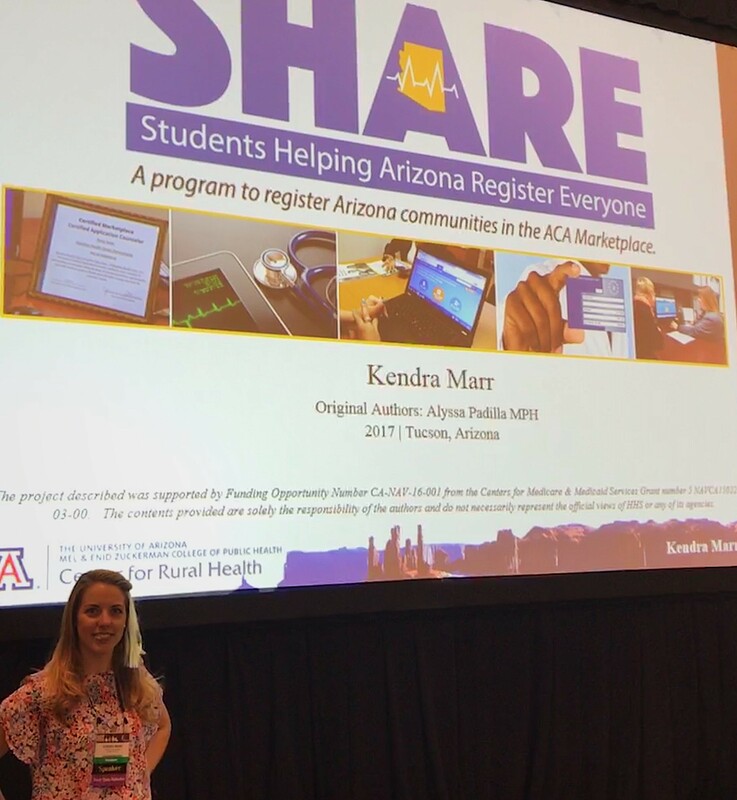 MICAH QN Member, Amanda Knuth, Spectrum Health Reed City, providing peer education on Infection Prevention and Antimicrobial Stewardship at the MICAH QN Annual Meeting. The program builds on what Barter calls a “long-standing quality network” that MCRH, with Flex funding, supports for all CAHs in the state. MCRH hosts quarterly meetings, a listserv, and strategy group meetings for the quality network. 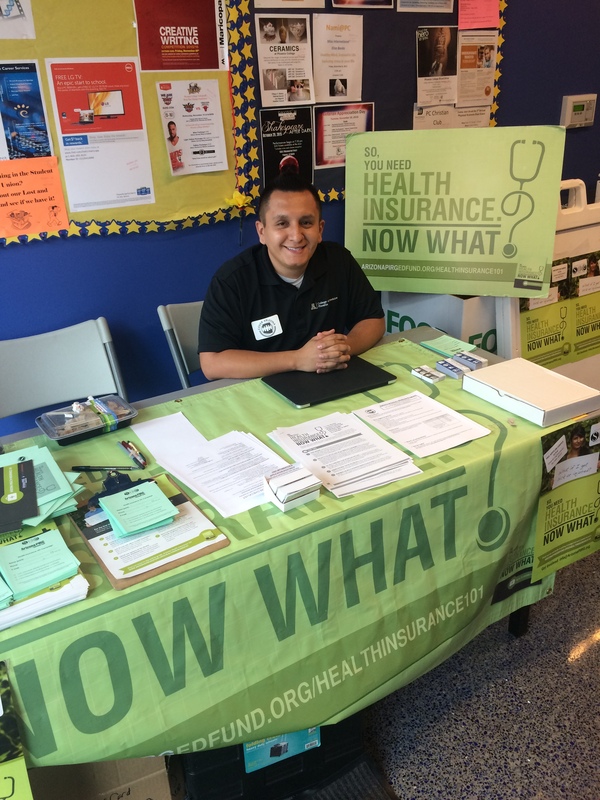 “We want to make sure that HIIN work is engrained in the quality network and they don’t feel like they are two separate initiatives,” she said. 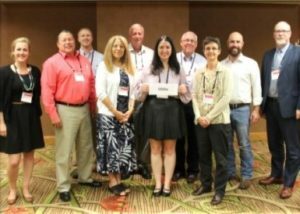 MICAH QN Executive Committee members holding the Certificate of Achievement recognizing Michigan as a Top 10 State for CAH Quality Performance. In his first week as director of the Utah Office of Primary Care and Rural Health, Matt McCullough faced a potential crisis: a Rural Health Clinic (RHC) in the southeastern part of the state was in danger of losing federal certification. Fortunately, McCullough found the solution—obtaining a (GDSA). Without the HPSA designation, the new RHC would not have been certified by CMS, “and without that certification, they might not have been able to open or stay open for long, because they would lose all that funding,” McCullough said. 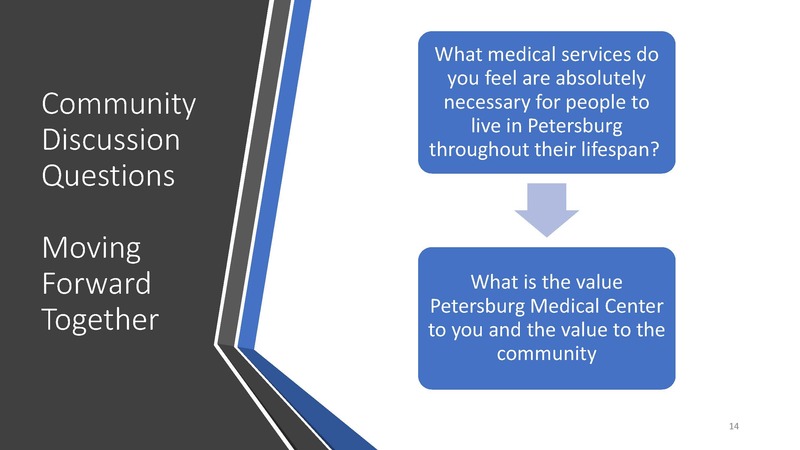 To qualify for Medicaid reimbursement, normally RHCs have to be either in a HPSA or a Medically Underserved Area (MUA). But the third option, which not every state pursues, is GDSA certification, he said. “This GDSA is a huge benefit to the state,” McCullough said. “It qualifies all frontier counties in the state as governor designated shortage areas. Some of our frontier counties are extremely frontier—less than two people per square mile, and they have a number of health disparities.” For example, San Juan County has a Native American population of 49%. Because of this, he said, “HRSA was able to approve the GDSA because these areas are extremely underserved.” And once states receive GDSA approval, it never has to be updated, he said. Additionally, using a direct connection with the governor’s office helped move the process along more quickly. “I drafted the letter and had the executive director of our Department of Health send it to the governor’s office directly,” he said. “I think that helped, to have his approval come from our office. Our governor is very rural-friendly. The letter was signed and sent back to us to send on to HRSA in only two weeks.” It also helped, he said, that he wrote two letters—one to the governor that explained the process and why the certification was needed, and a second letter for the governor to sign to send to HRSA. “So he didn’t have to write it, which saved a couple months of time,” McCullough said. 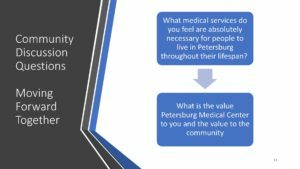 Now that the GDSA certification is in place, McCullough said he has already begun to hear from hospitals in the state requesting GDSA approval for their clinics, and he imagines that his office will have one or two requests a year for it. Does your SORH have a “Promising Practice”? We’re interested in the innovative, effective and valuable work that SORHs are doing. Contact to set up a short email or phone interview in which you can tell your story. It was while advocating for IMGs at the state legislature that Anderson met Mark Schoenbaum (then-director of ORHPC), who agreed to take on an IMG task force. As a result of the task force’s recommendations, the Minnesota Legislature established the IMG Assistance Program in 2015, and ORHPC selected Anderson to be its coordinator. According to Anderson, the IMG Program is of special importance to Minnesota because the state is experiencing “a perfect storm” of a projected shortage of physicians along with an aging physician population. It would seem that employing IMGs who reside in the state to work in rural and underserved areas would be an easy solution to the problem, but it’s not that simple, Anderson explained. Even if someone has graduated from a medical school that is recognized in the United States or by the World Health Organization, they must pass a two-step licensing exam and complete U.S. medical residency, even if they’ve completed a residency elsewhere. “This residency piece is where the barrier is,” Anderson said. “There’s not enough money for U.S. graduates to complete residency, so when you add international medical graduates, there’s even more demand for the available supply.” The cost of a residency runs around $150,000 per year per resident, she said. In addition to limited residency positions, most IMGs also lack U.S. clinical experience, a prerequisite for residency. “One of the legitimate concerns we learned from the task force is that IMGs aren’t always familiar with the U.S. method of practicing medicine,” Anderson said. “It’s a team approach with the patients as well as the other physicians. They really need an opportunity to be in a clinic and become familiar with U.S. medical culture.” The IMG Assistance Program now offers clinical experience through a partnership with the University of Minnesota. The cause of IMGs is personal for Anderson because her mother was an IMG who was never able to practice in the states. “My mom didn’t complete her residency in Canada (which would have allowed her to practice in the states) but went back home to Liberia to help,” Anderson said. But after she returned, her father, William R. Tolbert Jr., who was president of Liberia, was assassinated during a coup d’état, and the rest of the family was persecuted. Like many others, her mother fled her home country for the United States. In order to remain here, she had to maintain a student visa, so she studied Epidemiology at the University of Minnesota for seven years, despite having a Master’s in tropical medicine from the London School of Hygiene and Tropical Medicine. By the time her mother finished her program, she had been out of medical school for over 20 years, too late to apply for a residency since most residency programs require that physicians have graduated within five years of application. The IMG Assistance Program receives $1 million of state funding each year, with more than half of it going toward funding residencies, Anderson said. IMGs who accept a residency position funded by the program are required to pay $15,000 or ten percent of their annual salaries into a revolving account for five years, beginning in the second year of post-residency employment.